It doesn’t even have to be her baby. 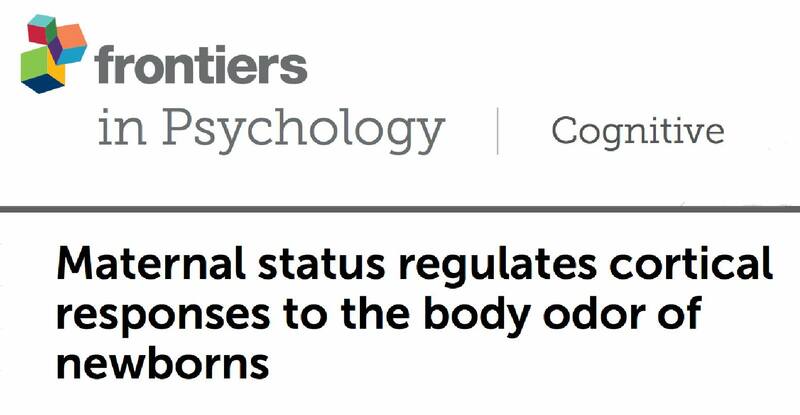 and we can get the signals mixed up. 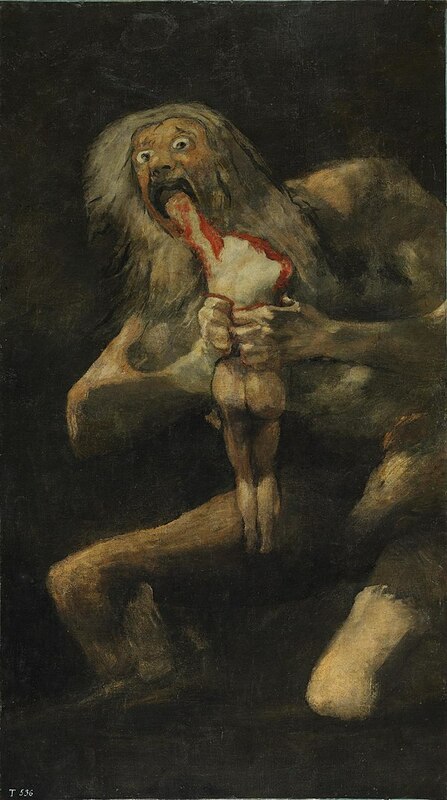 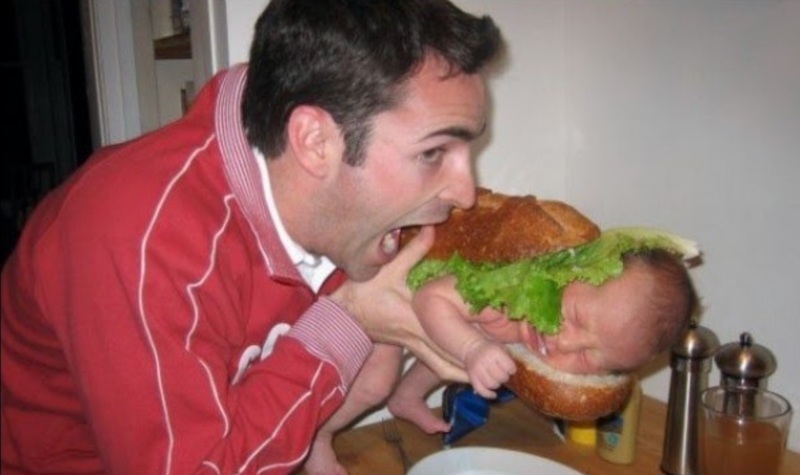 And so the desire to make nom-nom sounds while munching on a baby’s arm is based in science. 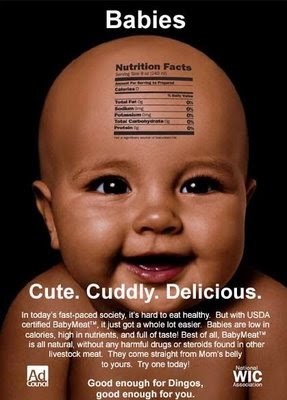 Actually, even the USDA says babies are delicious. Presentation may have something to do with this, too.